I’m very excited to share the 17th episode of the Woolful podcast. 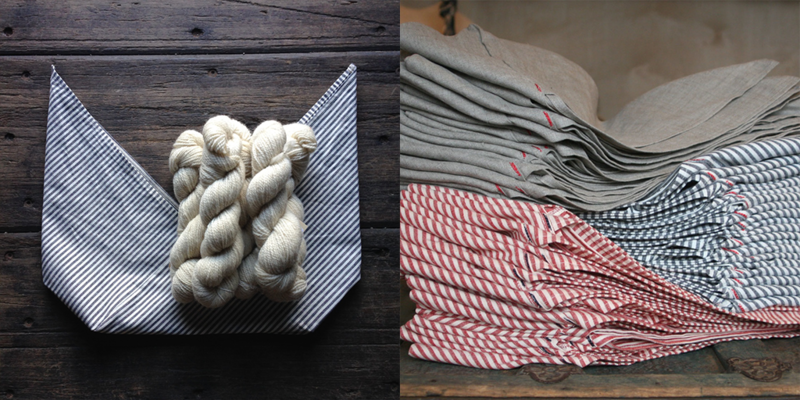 Today we get to meet two wonderful fiber folk from here in the bay area, both women I’ve really loved getting to know and have had a special part in contributing to this community on both a local and global scale…Molly de Vries of Ambatalia and Kristine Vejar of A Verb For Keeping Warm. Fiber folk 1: Kristine has had a beautiful fiber journey, from India to Oakland and many places in-between. 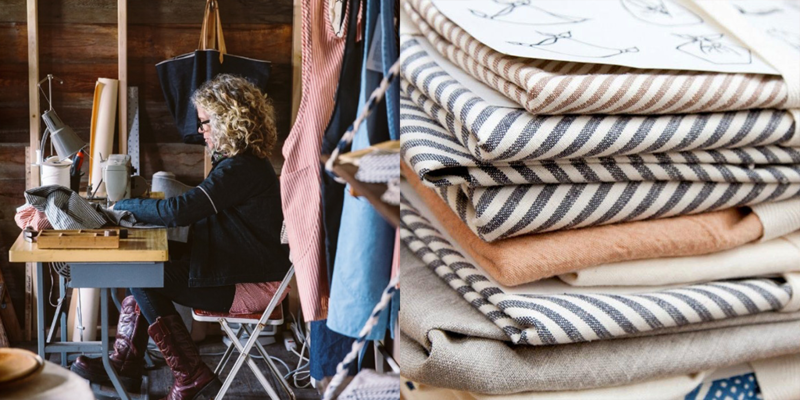 She’s has built a yarn, fiber and fabric shop, A Verb For Keeping Warm, where her days are often spent growing and honing her natural dye business. She’ll be releasing a book soon on natural dyeing, which I can’t wait to dive into. You can find her at averbforkeepingwarm.com and on Instagram @avfkw. Man on the Street: For this week’s “Man on the Street” I asked a question, shared by Karli in our Raverly group. 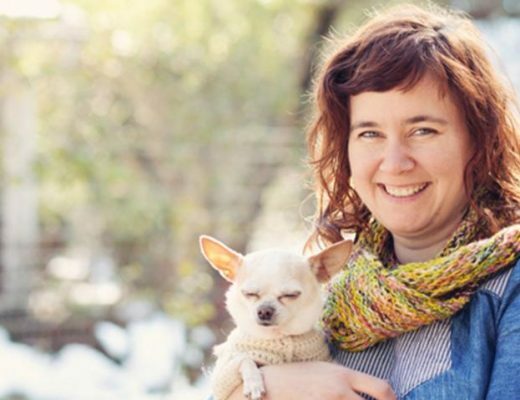 “If you were on a budget for your fiber goods, how would you go about continuing to buy and use natural/local yarns?” One of our Man on the Street team members Abby @abbygoodknits, had a great answer. 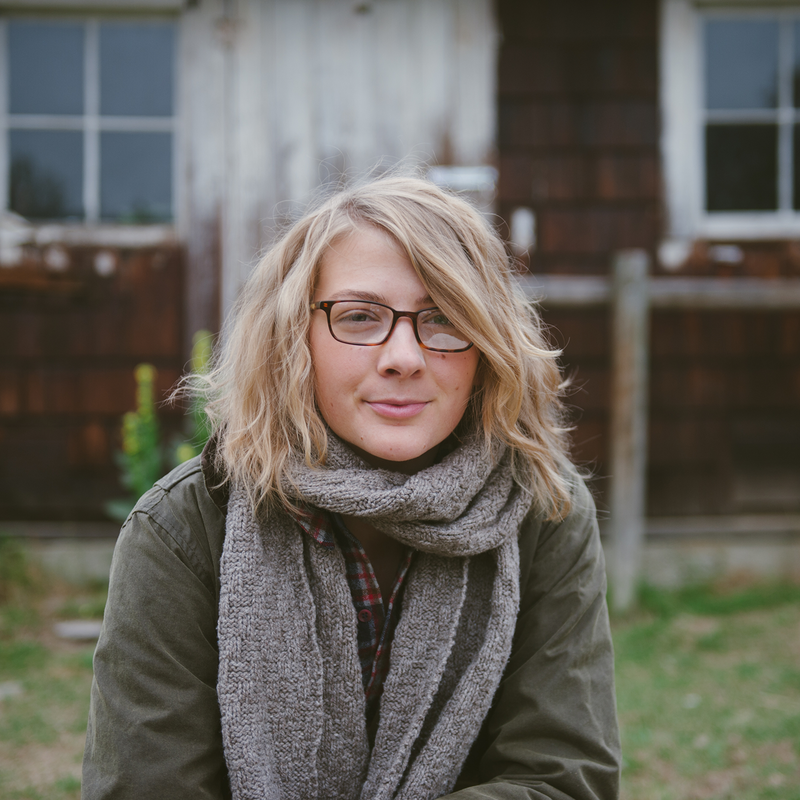 Fiber folk 2: Our next guest, Molly is so passionate and honest, which I’ve come to love as I’ve gotten to know her. She has a beautiful journey in self discovery and part of that has translated into her impactful business, Ambatalia. 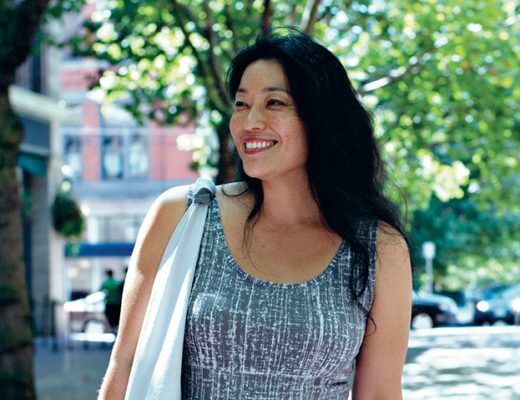 She’s on a mission to spread the love and simple pleasures of a non-disposable life. You can find her at ambatalia.com and on Instagram @ambatalia. Giveaway: The winner of last week’s giveaway, is Taralynn Dixon! You’ve won a 2 year subscription to Taproot Magazine. Congratulations! This week’s giveaway is sponsored by Ambatalia, and we’re giving away a collection of 5 assorted bento bags, which work perfect as project bags, as reusable bulk food bags or to carry any variety of special goods. To enter this giveaway, leave a comment below. Thank you so much to everyone who has participated in the March knit along of the Moto vest. Tomorrow we’ll be kicking off the April knit along, a fun quick knit for kids and bunny lovers alike. We’ll be knitting Beau the Bunny, my newest Little Woolens pattern, a small toy bunny who’s ready for Spring. You can find more details on our Woolful Ravelry group and I’ll be posting a blog post launching the knit along as well. With so much stuff around these bento bags could be the solution to tame my clutter! They would be great to hold my precious yarn skeins too. Oh can’t wait to listen! I bought an apron of Molly’s at a local store here in Virginia a year or so ago and found her shortly after on Instagram. I love the apron because it doubles as my project bag when the project is huge and almost done and won’t for into any of other project bags. I’m looking forward to the podcast as always. It’s so nice to learn the story behind places I’ve heard of like AVFKW and Ambatalia. I am really looking forward to today’s episode . Thank you so much for all the thoughtful interviews. I can’t wait to make a bunny, thank you for featuring the pattern! I just started listening to your podcast (currently on episode 2) and am really enjoying it so far. Thank you for sharing all these fiber journeys with us! Thanks again for another great podcast and giveaway!! 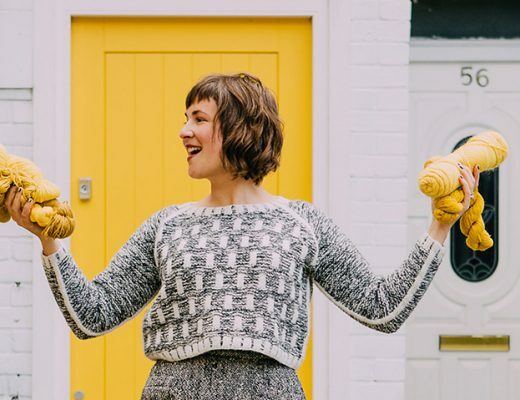 this looks like another great podcast – so happy to have something interesting to listen to while knitting my motovest – I know the perfect someone for that bunny – just might have to join that KAL too! So very excited to listen to this episode! It was such a happy treat to stumble upon AVFKW while visiting a friend in the East Bay area last fall. I just love bento bags! I just started listening to your podcast and find it wonderfully inspiring. Thank you!! Love this. Thank you for the great show and great ideas and inspirations! Tuesday is the best day of the week,w hen I get to start it with a new Woolful podcast. Molly’s story resonated with me this morning, and I plan to listen again tonight after work. Ashley, thanks for inspiring me so brightly every week! So fantastic to hear the interview with Kristine – I have admired her work from afar for years, and it’s wonderful to hear about the upcoming book, as well as her process and business path. OOhhhh, so excited that you interviewed Kristine in this week’s episode. I bought some of her indigo yarn at Stitches West a few years ago and then purchased some of the first batch of Pioneer as soon as it was available. I’ve made several lovely things with her yarns and can’t wait to someday visit the shop. I have so much respect for her process. I just found this website and podcasts and I like them. It’s new for me to listen to a program on the Internet. Old dogs, new tricks. I love those types of bags. Verb is my local store–I’m so lucky! I’m always weaving, knitting, or sewing while listening to woolful every Tuesday and by the end of each episode I’m literally buzzing with inspiration! I can’t wait for these ladies books to come out. I will definitely be purchasing them! Loved the podcast as usual. Thank you for the chance to win these great bags! Really enjoying your podcast. Thanks for the giveaway! Enjoying your podcast. Thank you for the giveaway! I really liked this episode, I’m curious to see how natural dye’s can be implemented into my life. As usual, another great podcast! Love the bags! Thanks for the great giveaway. Fingers crossed! Hi Ashley! I’ve been catching up to your episodes. Inspiring as always. Thank you for another wonderful podcast! It’s so interesting to hear the fiber journeys people have undertaken. I’ve been a knitter for many years, but am just beginning to dig into the craft. i’m especially loving learning about the breeds of sheep and their wool. Thank you for helping me become a more informed knitter! Thank you for another wonderfully inspiring podcast! As a city person working as a software developer for a living, it’s fascinating to hear about people with lives so different than mine. Thank you for sharing. Thanks for the continuing goodness in your podcasts! I have one Ambatalia bento bag and could always use more, thanks! 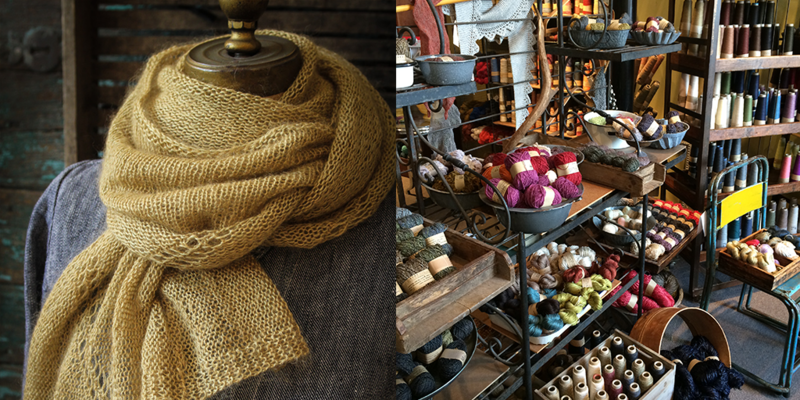 So many beautiful things- my favorite is the golden yarn at the top of the post. Thank you! I love thoughtful, organic style bags and the bento bag looks to be just that. Love your podcast; I listen to each one as soon as it is posted and I am learning so much. Thank you! Another amazing podcast. I usually don’t get a chance to comment, but today I wanted to make sure I did. What incredible journeys both of your guests have taken. I had heard about Verb before, but didn’t realize how learned or passionate Kristine is. And Molly’s story is also truly inspiring – to think she started out as a hairdresser, and sang to her family and friends at her 40th birthday party. She is someone we all should aspire to be more like – living our dreams! Your new bunny design is fantastic. My grandkids will love them. Thanks for all of your wonderful interviews. I always look forward to finding you on my iPhone on Tuesday mornings! So good!!! I know nothing about dying, so this was a really fun listen! Can’t wait to join my first knit along too! Loving beau the bunny! Just discovered your blog and podcasts! Have been binging on your podcasts –while knitting — of course! The bento bags are such lovely containers. Thanks for your interviews and for expanding my horizons! Have started listening, love the interview! Thanks for a great giveaway. I lovelovelove Molly’s work! Can’t wait to listen to this episode! Excellent podcast; it contains all the things I so love about listening and learning while I am knitting! Great job. Thank you for the giveaway of these bags-intriguing! Awesome podcast this week, as usual! I look forward to my Tuesday mornings when I can download the newest episode for my listening pleasure. Thank you! What a dream to study textiles and natural dye in India! I’m amazed every week by the fascinating people you interview. Sitting down right now with my yarn to listen to this! I just started listening to the podcasts and I’m addicted! I had to pause in my binge so I could listen to this one though. These podcasts are maintaining my courage as I tackle my first garment- who knew cardigans could be so scary! I loved this episode. I have a new respect for everything indigo! This was one of my favorite episodes! Thank you so much for providing such exciting and educational listening material! Thank you for making Wednesday my favourite day of the week. Hearing about all these amazing journeys makes my dreams a little bigger and a little brighter with each lovely story. I always look forward to my email saying there is a new podcast! And I love Bento bags, I have tried to make them, but always come back to the ones o have bought byAmbatalia. They are awesome! And for so much more than knitting projects! Just sitting in bed and going to listen to your podcast. Lovely, lovely giveaway. Thank you for doing it. being very much into natural dyeing myself, I’m always delighted to listen to dyers. I was very interested in the stories about indigo vats, it reminds that as Spring is arount the corner, I should think about resuscitating my indigo vat. Ambatalia’s simple and clever designs gave me the urge to sew too! Thank you for your wonderful podcasts and this generous giveaway! I love the bento bags and have made my own versions in different sizes to carry projects or notions. I would love this collection! Such a good episode!!! You really keep me zen on my drive to work. 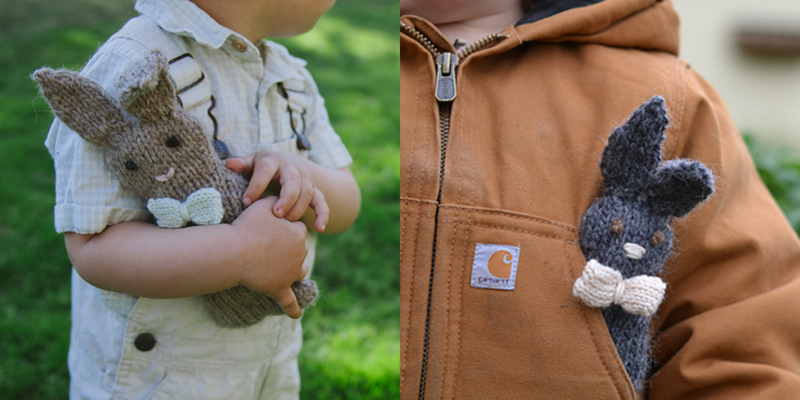 As a nanny I’m gunna have to knit two of those bunnies<3 hope I win the bags! Great podcast. Makes me curious about natural dyeing, just in time for Easter! Yay! I love Kristine’s shop and always make a special point to visit whenever I’m in the Bay. I suspected she was probably a pretty fascinating person–now I know. I believe Verb is having a fabric sale this Friday, too. Great episode; thanks! Love these bags! What a fun story about your bunnies. I remember having two white rabbits as pets. They weren’t small nor were they cuddly! And the amount of poo that would build up under their hutch!!! A knitted bunny would be much nicer (if the dogs don’t take it for their toy). Thank you for these podcasts! A wonderful giveaway too. First time listener and I’m already hooked. What a joy your podcast has made my workday. I’d also LOOOOVE to win those bento bags! I loved this week’s podcast! I just recently learned about bento bags, but had never considered them for bulk grains and other practical, non wasting uses! I have a long car ride tomorrow & I’m so excited to listen to this episode! I’ve been really enjoying the podcast. Indian textiles, I adore them. Thank you so much for you continually awesome podcast. This episode was timely for me as I have been thinking of making waxed fabric etc to replace plastic wrap. I could also do waxed covers for food etc and not use plastic covers. Even small bits add up eventually don’t they. Another lovely episoded. Such wonderful journeys! I love each of your episodes. They’re always so full of information! They send me down the rabbit hole of cool searches every time. 🙂 And these bento bags look awesome! So good to meet and listen to wonderful artisans! Very exciting ‘work’. Thanks! Thank you for the wonderful giveaway. Looking forward to listening to the podcast as well as knitting that adorable bunny! Am totally enamored with your podcasts!! I thoroughly enjoy hearing about how others are creating beauty in their lives and fulfilling their dreams. Look forward every week to see who you are interviewing. intersting and so inspiring as always.. I loved this weeks episode, so wonderful to hear from these lovely ladies. I would love the Bento bags, so many possibilities for use! Thank you! This was a great episode. I loved hearing Kristine’s ideas about different types of dyers, and then thinking, ‘What type of dyer will I be?’. Also truly enjoyed Molly’s story, attitude, and humility. Her aprons are beautiful and her simple ideas are inspiring. loved this episode! 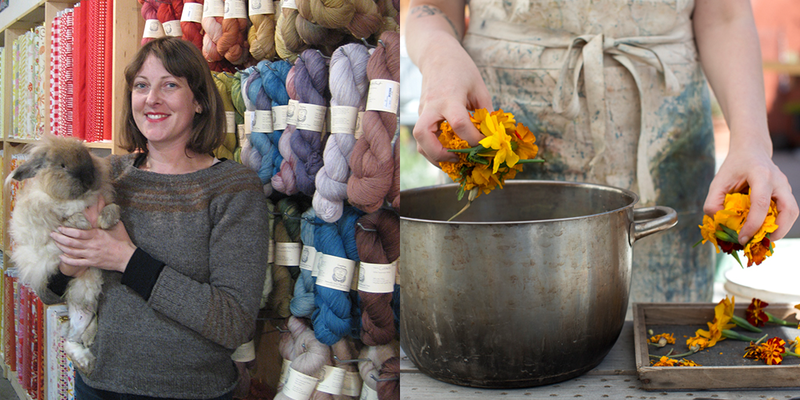 both Kristine and Molly are a huge inspiration to me, and make the Bay Area fiber community so special and incredible. Thank you for inviting them to share their journeys! For me, natural dyeing is all about the process behind it….walking through the fields and along the dirt roads, harvesting dye plants….sitting under the shade of a tree knitting while the dye pot brews….and the “ah” moment when I pull the yarn out of the dye pot. I loved hearing Kristine tell her journey into natural dyes. Next time I am in CA-I must go see her! Wonderful podcast, and as always, two fascinating interviews. first time listener! Wow!!!! I just inherited a lovely sewing machine….. My mind was spinning! Great podcast – thank you.It was perfect to listen to while happily spinning away. Great job. Thank you for the giveaway of these bags. Much appreciated. Thank you so much for a chance to try these beautiful bags. Changed things up this week and enjoyed listening while sewing–thanks! My Friday morning is now complete, after listening to another wonderful Woolful podcast. I have been waiting for an episode with Kristine since you started. This was my week! Kristine and Molly’s reference to international textile traditions — furoshiki, backstrap looms and Rabari embroidery — reminded me of what a privilege it is to work at a textile museum. Each of our exhibitions has been an incredible education about traditional textiles and contemporary practices. I continue to discover just how much I still have to learn — like Molly said, we’re all beginners here in North America! Love listening to your podcast while I knit! Fantastic podcast! Love those bento bags! I’ve thoroughly enjoyed this episode and it’s really got me thinking about all of the disposable things in my life. Time to reconsider the mindless way I’ve been living. Thank you! Another interesting episode! And I love the bento bags. At this moment I have plenty of unfinished knitting projects to fill them! Great episode, thanks! I really want to check out Verb in person one day, and I’m looking forward to Kristine’s book. Love the podcast! What a fantastic give away! Just found your podcast and am enjoying the balance of articles, the Sue Blacker interview was fascinating. Thank you so much. I thoroughly enjoyed listening to this podcast and find myself feeling like I am in the coffee shop listening to the fiber artists talk. Thank you for making these podcasts so down to earth and yet so inspiring. You ask so many of the questions that I want to know about the artists. I just found your podcast, and am really looking forward to exploring your archives and listening to new ones! Lovely episode again. Thank you soooooo much Ashley, you’re the best! I’ve been dying to get one of those bento bags. Thanks for the giveaway and for another great episode! I love your podcast. That is all. I’ve been following Ambatalia for some time, it was great to hear more about the background and progression of her work. Thank you for the thoughtful interview! Such inspiring women in this podcast!! I love bento bags. Thanks for the chance to win! So excited for another knit along! I can’t wait to see everyone’s versions of these adorable bunnies. So excited for these! Been eyeing these beautiful bags for a while now! Thank you for another wonderful podcast. I love listening to everyone’s unique fiber stories and found the stories about handmade, nondisposable lives very inspiring. Keep up the good work! Brilliant! More natural dyes! What inspiring guests this week. I love it. I have loved seeing Molly’s product line grow over the years, it was great to get to hear how it all started! Here’s to being more organized! Once again, another enjoyable and informative show. I’ve been trying to think of ways I could move to a less disposable lifestyle, simple things like not buying paper towels and hemming up some cloth squares and being more intentional with the composting for our garden. Your shows get a person thinking which is good. Indigo vats- I didn’t even know they were a thing. Wonderful again! I always feel so inspired and happy after these podcasts. Thank you for all you do and the wonderful guests you are talking to! I really look forward to your podcasts and have learned a lot from you and also the people that you interview. Thank you for investing the time and energy to bring us your blog and podcasts! Would love to win the bento bags. I’ve made a few myself and find them to be endlessly useful. Thank you for the wonderful podcasts & for the generous giveaways. Kristine’s journey was so inspiring! I’m someone who has traveled and studied internationally, and the way that she brought together her talents with fiber and her travels is just beautiful. Thanks for sharing! Inspired to think of what I can do with my fabric scraps! I love Bento Bags. I truly enjoy your podcast as well! What a great episode! I loved both of these ladies and their work! Loved listening to both guests, and found Molly’s thoughts on the indigo vat as family member, fascinating! Wonderful podcast, so inspiring… And now I’m dreaming about bento bags, they are amazing ! I am learning so much! Thank you for your podcasts. I really enjoyed being reminded and challenged once again about living a non disposable (or less disposable) life. It’s difficult sometimes amidst children, chores, and getting things done to remember the importance of being intentional about it. I loved the segment with Molly – her story is so inspiring to me! I saw some of her aprons in a catalog recently and it was so great to hear the larger story of her business and philosophy. I enjoyed the whole podcast (epiosde 17). I’ve actually listened twice as I found it educational in terms of creativity and some little tips about small textile businesses. It’s great to hear both women talk enthusiastically about natural materials and methods. I’m sure I will spot some of their work when I visit San Francisco in October.